John lives in Odentown, Maryland. This picture was taken at his house before he left to go to the Cruisin Ocean City 2001. Here's John in the parade down the Boardwalk in Ocean City. 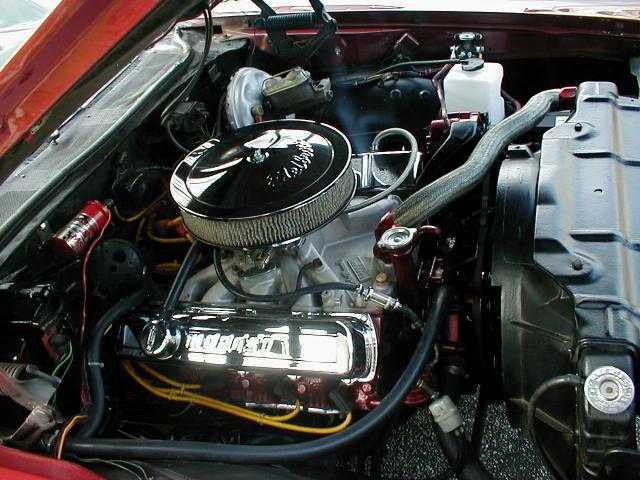 Here's the 468 Olds engine in the 69. 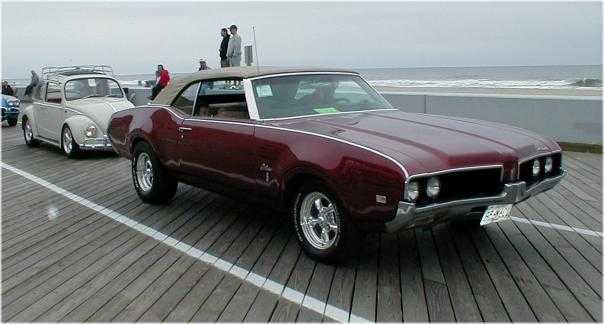 (A 468 is a .060" over 455 Olds). Asphalt Angels Car Club of Maryland!